Charlie has over 30 years of experience as a dealmaker and strategic advisor in a variety of industries, first as a lawyer, then as a venture capitalist and private equity professional, and more recently as an energy investment banker with deals and clients in oilfield services, unconventional and conventional gas, LNG, midstream gathering and pipe lines, compression and processing including fractionation, renewable methane, energy construction, nuclear services and more. Following graduation from the Wharton School and Vanderbilt Law School, Charlie returned to his hometown of Kansas City and joined the firm of Blackwell Sanders Matheny Weary & Lombardi [now Husch Blackwell], a pre-eminent law firm in the Midwest with a premier corporate and securities practice. He advanced to partner at age 29, as the firm’s youngest ever partner. Following several years in the corporate world, Charlie was a partner from 1988 through 1999 in Jones Day, a 2,600-lawyer, international law firm. At both law firms, his substantive expertise was as a securities/corporate finance/merger & acquisition partner, and at Jones Day he was also an international business law specialist, with his primary industry specialization being in the inter-related pharmaceutical, medical device/diagnostic, agricultural chemical, animal health and biotech fields, principally counseling multinational healthcare/life science companies. At Jones Day, he was the entrepreneurial founder of the highly successful Pittsburgh office in 1989. Charlie also formed the Life Sciences Practice Group at Jones Day, and was the Group’s worldwide head until he left the firm to co-found iNetworks, a private investment/venture capital/private equity firm in late 1999. 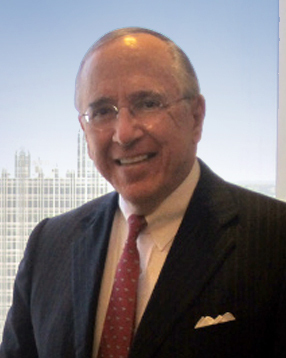 In between his law firm partnerships at Blackwell Sanders and Jones Day, Charlie served in executive positions at NYSE companies including Hospital Corporation of America (“HCA”), where he co-founded HCA Venture Capital, the company’s in-house venture arm, investing in emerging healthcare companies. After concluding his legal career, Charlie joined the board of directors of Sunquest Information Systems, Inc., a Tucson, Arizona based healthcare information systems company (SUNQ: NASDAQ-NMS) for which he had served as outside counsel while at Jones Day. In his board role, he oversaw the sale of the company to Misys plc for three times the price of the company’s stock when he was appointed ($8 to $24 in 18 months). In late 1999 Charlie co-founded iNetworks, LLC, and iNetworks Advisors, Inc., together with a highly-regarded, multi-billion dollar, family-owned multi-industry holding company in western Pennsylvania. iNetworks and its affiliates have invested in numerous companies in the healthcare/life science and energy-related fields, and continue their investment activities today. Beginning in early 2008 and until January 2010, Charlie and iNetworks were retained by Chesapeake Energy Corporation, the nation’s second largest producer of natural gas, to facilitate the entry of Chesapeake Appalachia, LLC into the Pennsylvania portion of the Marcellus Shale. Following his retention by Chesapeake, he was trained at Chesapeake’s headquarters in Oklahoma City, OK, and elsewhere with respect to unconventional oil and natural gas exploration and development, shale geology, land and rights acquisition, hydraulic fracturing, domestic and foreign natural gas markets, CNG and LNG, etc. In 2012, Charlie and Dale Killmeyer, the lead partner in an iNetworks affiliate, International Capital Networks, LLC, co-founded Stone Pier Capital Advisors to act as M&A, financial and strategic advisors in energy and other industries. Charlie was named to “Who’s Who in Energy” by American City Business Journals in 2011, 2013, 2014, 2015 and 2016/2017, and is a 2015/16/17 Judge for the Oil & Gas Awards nationally. He is a regular speaker, moderator, panelist or conference leader with respect to energy topics (e.g., Chairman, 2017 Northeast Petrochemical Construction Conference), a judge for energy technology competitions (e.g., 2017 Cleantech University Prize completion at the Scott Institute for Energy Innovation at Carnegie Mellon University) and his energy-related articles have been published in Marcellus Drilling News and Natural Gas Now. As a founding Board member and officer of the non-profit Pittsburgh Energy Innovation Center Institute, Charlie has spearheaded a number of energy-related initiatives, including workforce development training involving some of the largest exploration and production companies in the Marcellus/Utica region, such as Chevron and Shell, and also with respect to the Shell Chemical Appalachia Petrochemical Complex in Monaca, Beaver County, PA. In addition to serving on the boards of for-profit companies, he has served on a variety of boards involving entrepreneurship, social justice, education and workforce development, ethical issues and children, including, for example, Pittsburgh’s Center for Women’s Entrepreneurship (founding Board Member), Pittsburgh’s Institute for Cross-Cultural Ethics (Board Chair), the President’s Visiting Committee on Social Justice at West Virginia University, and the Boys and Girls Clubs of Pittsburgh. As a board member and officer of the Huddle Up for Kids Foundation, a 501(c) (3) charitable organization, Charlie is actively involved in the management and direction of charitable fund raising events such as the Chevron/Pro Football Alumni Charity Golf Invitational and the Pro Football Alumni Charity Shooting Clays Invitational. In the energy space, he is a founding Board member and officer of the Pittsburgh Energy Innovation Center Institute, a member of the 2014-2015 Transition Team established to facilitate the incoming administration of Governor Tom Wolf (D-PA) [assigned to Department of Environmental Protection], and a member of the University of Pittsburgh’s Energy Law & Policy Institute Advisory Board. He is actively involved with the nonprofit RAND Corporation, most recently serving as a member of the National Executive Committee of the RAND Policy Circle.